More info is coming to light about the movements Stephen Paddock made in the days and months leading up to his mass shooting at a country music festival in Las Vegas on Sunday night. Reports now say he also booked rooms overlooking Chicago’s Lollapalooza and another Las Vegas event, the Life Is Beautiful festival. The Associated Press reports that authorities have been tracking Paddock’s movements prior to the Sunday shooting. They found that in early August, he booked a room at Chicago’s Blackstone Hotel. The hotel overlooks Grant Park, the location of the yearly Lollapalooza music festival. A law-enforcement official speaking on the condition of anonymity told AP that there was no evidence Paddock ever went to Chicago that weekend. 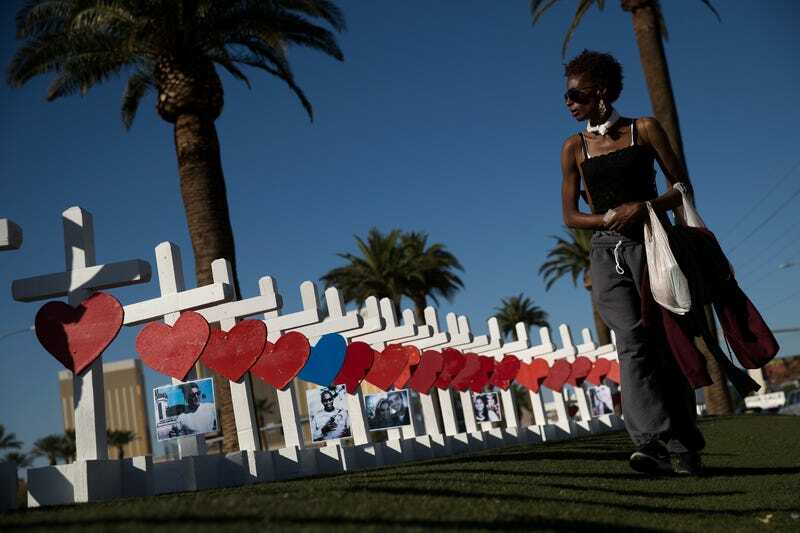 The weekend prior to his shooting massacre that left 58 people dead and more than 500 injured, Paddock rented a high-rise condo in a building that overlooked the location of the Life Is Beautiful music festival. Las Vegas Sheriff Joseph Lombardo said Tuesday that Paddock did actually check into that rental, but Lombardo did not give details as to what Paddock did while he was there. AP reports that investigators trying to find a motive for Paddock’s shooting rampage have come up empty. Meanwhile, FBI Deputy Director Andrew McCabe told AP on Wednesday that he was surprised that more has not been discovered about Paddock or his motives. FBI agents questioned Paddock’s girlfriend, Marilou Danley, on Wednesday to try to gain some insight into his state of mind. Danley, who was out of the country visiting the Philippines when the shooting occurred, said that she was not aware of Paddock’s murderous plans.